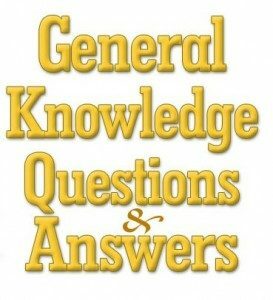 General Knowledge questions on Indian GK for Bank PO, IBPS, Bank Clerical And Indian GK For RRB Assistant Loco Pilot Group D 09-05-2018 questions for bank exams, very important computer-related questions for Bank PO, SBI PO, IBPS,RAS, IAS, UPSC, RPSC, 1st, 2nd, 3rd Grade Teacher, REET CTET, LDC, SSC CGL, IBPS, MBA, CAT, MAT, SBI-PO, RBI And Railway, Indian Army And all competitive Exams, and Most expected Computer Question Papers with answers. These Questions are most commonly asked in Other Banking Exam And All subject Wise Notes and Math, Hindi, English, History, Political Science, Psychology, Sanskrit Related Study material. Question. (1) Who gave the slogan of Hindi Hindu India? Question. (2) The first spacecraft to land on Mars? मंगल ग्रह पर उतरने वाला पहला अंतरिक्ष यान है? Question. (3) What is the old name of Java? जावा का पुराना नाम क्या है? Question. (4) What is the old name of Sri Lanka? Question. (5) The is Uttaranchal’s old name? उत्तरांचल का पुराना नाम है? Question. (6) What is the city of seven hills? सात पहाड़ियों का नगर कहलाता है? Question. (7) Hyderabad is situated near which river? हैदराबाद किस नदी के पास बसा है? Question. (8) Which city is situated near the river Luni? लूनी नदी के पास कौनसा शहर बसा हुआ है? Question. (9) Ujjain is situated on the banks of which river? उज्जैन किस नदी के तट पर स्थित है? Question. (10) The is called a windy city? हवा वाला शहर कहलाता है?